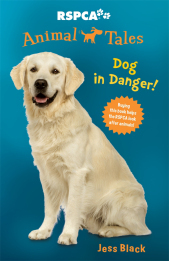 Royalties from sales of this book go to Guide Dogs Victoria. Release date 29th October 2018. This delightful picture book encourages girls to do anything. Focusing on a nurturing relationship between a young Indigenous girl and her mum, this book celebrates everything from football to friendship, reading to surfing. Guide Dog puppy Goldie has been with the Agresta family since she was eight weeks old. Now she’s nearly fourteen months and it’s almost time for her to leave and begin her final Guide Dog training. Abby is so proud of Goldie and is determined to make the most of the time they have left together. But when some cupcakes that Abby’s mum has made for the school charity day go missing, it looks like Goldie is the most likely culprit! Can Abby clear Goldie’s good name? Lachie Byrnes is proud to be helping his parents raise Meg, a Guide Dog puppy. After living with the Byrnes family for a couple of months, Meg has just started puppy preschool! Meg is very good at obeying commands – except sometimes sit and stay! But after a big day of training and activities, Meg becomes sick and the Byrnes are forced to make an emergency trip to the Guide Dogs vet surgery. When Meg has to stay overnight, Lachie is determined to use his detective skills to find out what’s the matter with his beloved puppy. Six-month-old Guide Dog puppy Ringo can already sit, stay and is full of smiles. His Puppy Raisers, the Hedges family, decide Ringo is ready to join them on a road trip up the coast. The kids, April and Archie, begin counting down the days until they leave. Ringo’s excited too! When they arrive, Ringo is fascinated with the new environment. It seems like dog heaven, until something frightens Ringo and he runs away. Where is Ringo and will the Hedges find him before nightfall? Somewhere in Eucalypt Gully, Where exactly, no-one knows, A group of animals gather, Shh! Follow them on tippy toes... Jump up and join the Aussie animals' moon dance-you'll soon get into the groove! Eve turns up unannounced at her Nan's house with Oscar in tow. It's time to open the wooden box. The one her Nan had warned them was far too dangerous to go near. A crystal dragon figurine thrusts Oscar and Eve into a medieval world of dragon slayers, fire breathing dragons, castles and moats. It's a world at war. Can Eve and Oscar befriend these creatures and help save them from extinction? 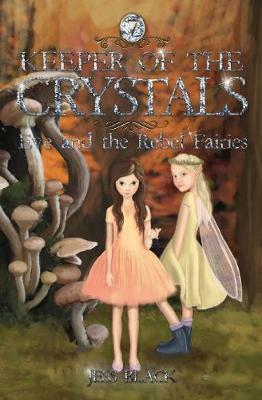 When Eve discovers a miniature pink door and a fairy crystal, something strange begins to happen. Behind the door Eve and her friend Oscar are greeted by a green-faced pixie, and taken into an enchanted world. Orla, Queen of the Fairies, asks Eve and Oscar to help stop two rebel fairies from destroying the Tree of Life. Will Eve and Oscar be able to help the fairy kingdom? Eve is back in Marigold for the holidays. While out bushwalking, Eve, Oscar and Ingvar happen upon a strangely-shaped rocky outcrop. It looks like a giant’s chair, and when Eve sits in it, her hand touches upon a small crystal in the shape of a giant embedded in the rock. Suddenly a huge wind comes out of nowhere and lifts them up. It carries them to the land of giants. The wind which brought them was blown by Trotag, a young giant caught between two worlds. All is not well in the land of giants, for the rogue giants buried under the ground are rising up, causing havoc, creating volcanoes and earthquakes. The creator giants don’t know what to do for their world, the world they took so much care in making, is being destroyed. Meet Little Davey Warner. He lives in Sandhill Flats with his mum and dad and his brother Steve – and his stinky dog Max. Davey and his schoolmates –even Max – are MAD for cricket. All they want to do is play … but there’s always something getting in their way. In this second book in the series, Davey wishes he could be as good a cricketer as his older brother Steve, who’s always telling him to practise more. And there’s nothing else that Davey and his mates like to do more – the classroom is as good as the playground, right? Mr Mudge, the Year 6 teacher and absolute grump, doesn’t think so, especially after being donked on the head by the ball, and confiscates Davey’s precious bat, ‘Kaboom’. What’s Davey going to do without his precious bat? It’s like a part of his body. And of course a selector has turned up at club training, and Davey’s HOPELESS without his bat. He’s really happy for his mate, Sunil, though, who the selector taps on the shoulder. Davey Warner bets school bully Mo Clouter that he can hit six sixes in the Sandhills Sluggers’ upcoming battle against their club rivals. But after a disastrous school excursion to the local lawn bowls club, Davey is in trouble again, then forgets to hand in his assignment. His Year Six teacher, Mr Mudge, bans Davey from playing cricket until it’s done. Can Davey get his assignment done, hit six sixes in the match and help the Sluggers seize top spot on the ladder? Road trip! Davey and the South-East Slammers travel to the country for a match against the dreaded North-West Whackers. Not only is cranky Mr Mudge coming along, school bully Mo Clouter and his band of buffoons have joined the cheerleading team. What are they up to? Soon it’s time to play – but where is their captain, Josh Jarrett, AKA Mr Perfect? And what on earth does Mo have planned? Will the team ever pull together against the might and skill of the North-West Whackers? Animal Tales 5: Dog in Danger! Cassie, Ben and Dr Joe are on a bushwalk when they bump into a family who have lost their dog. They immediately offer to help, but can’t find the poor old dog anywhere. The weather is becoming stormy and it looks as if the search will have to be called off . . . until Cassie hears a small whine from over a cliff edge. Visitors at a neighbourhood guesthouse have been complaining about spooky noises at night. The owners are worried. Is it ghosts? It’s starting to affect business, but what can they do to stop it? Cassie and Ben decide to engage in a bit of late-night detective work to uncover the source of the ghostly disturbance. Bindi has a guest appearance on a smash hit US TV show called Riding High, a program based around an exclusive Los Angeles horse riding school. Savannah, Taylor and Andrew are the three teens who feature in each week’s episode, and it becomes apparent to Bindi that there is a lot going on, both on set and off, among the three stars. With a big fashion opening night coming up, Bindi gets a chance to show that being proud of who you are and what you stand for is more important than what you’re wearing. friends, she’s dispirited to see more kangaroos on the menu than out the window. the harsh methods used to kill kangaroos in that area. But, along with her friends Damian and Len, Bindi is determined to keep one of Australia’s best known and loved species as far away from the dinner table as possible! may not get a chance to tell anyone what’s really going on! smoke on the horizon. On a super-hot day, this can only mean one thing. Wildlife Hospital, caring for the victims of the fire. gorgeous tiger cubs to take back with them to Australia Zoo. Soon after they are introduced to the mischievous trio, Bindi and her new friend Madi get involved in tracking down a nefarious gang of tiger poachers. Bindi Wildlife Adventures 13: Jail Break! dramatic turn for the worse when a self-obsessed celebrity, Adam Starr, causes the real stars of the show to escape. Devils on the loose! Bindi and her family are in Cambodia working with an elephant conservation group in the wild Mondulkirri jungle. They’re helping to find non-violent ways for local villagers to deter elephants from destroying their crops. But not all the locals are on board with the project. Bindi notices a Cambodian teenager who is more interested in encouraging human/elephant conflict than preventing it. What’s really going on? Bindi to the rescue! Featuring stories that girls will be jumping with joy to read and re-read, Stories for Girls is a selection of wonderful stories written by Australian authors especially for girls in the 6- to 8-year-old age group. Girls will delight in stories featuring unicorns, singing recitals, magic capes and more. Once they start reading, they won’t want to stop! Authors include Jacqueline Harvey, Janeen Brian, Jess Black, Claire Saxby, David Harding, Di Bates, George Ivanoff, Grace Atwood, Deborah Kelly, Tania Cox, Martin Chatterton and Maisie Duborsarsky.